Looking to give your child an early start and an advantage learning in an environment that strives to provide success? Starting your child in preschool at an early age can often give them the knowledge they need when entering kindergarten and skills they can develop that will increase their chances to find success. Both mentally and socially, our preschool offers your child many advantages, all in a fun and exciting atmosphere. 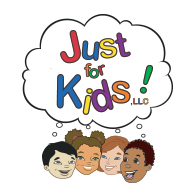 Preschool at Just For Kids is a great way to fill your child’s day with fun while teaching them skills they need to have. Our school accepts 20 children a year and is registered with the Illinois State Board of Education so you can trust that while with us what they are learning is valuable and essential for growth and development. At Just For Kids, we believe that preschool truly does matter. Whether you just need somewhere for your child to go during the day or you are looking to give them an early start, our program is perfect for you. We believe that attending preschool prepares your child for schooling in the future, and teaches them valuable lessons for life as well. Through stimulating activities and hands-on teaching styles, your child can begin to learn pre-reading skills, build basic mathematics, and develop a stronger vocabulary. Every child learns at a different rate and by enrolling them into preschool, you are giving your child the chance to develop skills that will stick with them for the rest of their lives. Give your child the best possible opportunity for success, and contact us today.